Evox’s mission is to build a platform technology company spearheading the translation of exosome therapeutics for the treatment of serious, life-threatening diseases with limited options for patients and their families. With its roots firmly grounded in two world-renowned academic institutions – the University of Oxford and the Karolinska Institute – Evox is driven by a dedication to scientific excellence and to pushing the scientific frontier together with an ecosystem of academic partners and collaborators worldwide. A key component of Evox’s technology platform relates to engineering of exosome proteins for optimised loading of drug cargos and targeting moieties into and onto exosomes. Evox’s proprietary protein engineering technology enables loading of protein therapeutics and targeting moieties onto the surfaces of exosomes, which enables tissue targeting and display of therapeutic proteins. Additionally, Evox protein engineering strategies comprise methods for loading the inside of exosomes and extracellular vesicles with various types of drug cargo, notably therapeutic proteins and nucleic acids. This modulation of the protein composition of exosomes is key to developing potent therapeutics harnessing both the native effects of exosomes and the specificity and affinity of conventional biologics, such as monoclonal antibodies and siRNAs. Nucleic acid-based therapeutics constitute a core therapeutic modality for Evox’s development programs and we have sophisticated capabilities for loading of primarily RNAs into exosomes. RNA loading is done via either proprietary exogenous or endogenous loading methods, which enables Evox to work across both natural and non-natural oligonucleotides. Solving the non-hepatic delivery challenge of nucleic acid-based drugs – such as siRNAs, antisense or even gene editing modalities – is a core mission for Evox and tissue-targeted exosomes represent a very promising technology to achieve this. Targeted delivery of nanoparticles is an area that has been intensely investigated for decades. Methods for delivering a drug at a high concentration to a specific organ or tissue in the human body are meant to enhance efficacy while reducing unwanted side effects and toxicity. Targeted drug delivery has a role to play in the delivery of many if not all drugs, but targeted delivery systems are absolutely critical for delivery of nucleic acid-based agents such as siRNA and CRISPR-Cas technology. Unlike many other nanoparticle-based delivery systems, exosomes are easily modified to contain targeting entities to enable tissue- and organ-specific delivery. Evox has created substantial proprietary technology to modify exosomes using various targeting strategies to facilitate targeted drug delivery to organs of interest, not least to the brain and the central nervous system. Our R&D teams are in constant pursuit of novel targeting strategies for enhancing exosome-mediated delivery to tissues of interest and combining this with the inherent biology of exosomes to further drive optimal in vivo behavior. Exosomes are a novel form of biotherapeutics but their production and purification is similar to conventional biologics manufacturing, both in terms of upstream and downstream development. 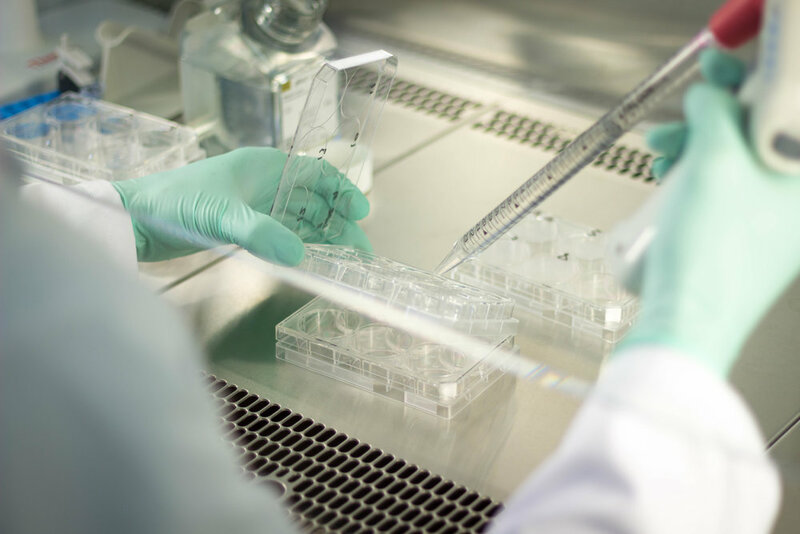 Evox is therefore, investing significant resources to capitalise on advances made within protein production and our exosome manufacturing lines rely on some of the latest technologies for cell line development, cell culturing, exosome harvesting, and exosome purification. We also focus intensely on optimising the formulation strategies and pharmaceutical compositions for exosome administration, to ensure that we harness the biology and the potency of exosomes as efficiently as possible.